David Bernhardt was serving as acting secretary after Ryan Zinkle left in Dec.
"David has done a fantastic job from the day he arrived," Trump says of the acting secretary, who came into the role after Trump's former embattled secretary, Ryan Zinke, departed from the role at the end of last year. (The Washington Post/Getty Images, FILE) Interior Deputy Secretary David Bernhardt poses for a photograph in the library at the Department of the Interior, Oct .18, 2018 in Washington. Critics have said Bernhardt is too close to his former clients who he sometimes represented in cases against the Interior Department. Bernhardt recused himself from some of those topics but some of the recusals have expired, opening him up to work on policies that he formerly challenged on behalf of his clients. Activists have pointed to meetings Bernhardt had with former clients to allege that they are playing too big a role in policy decisions at the department. 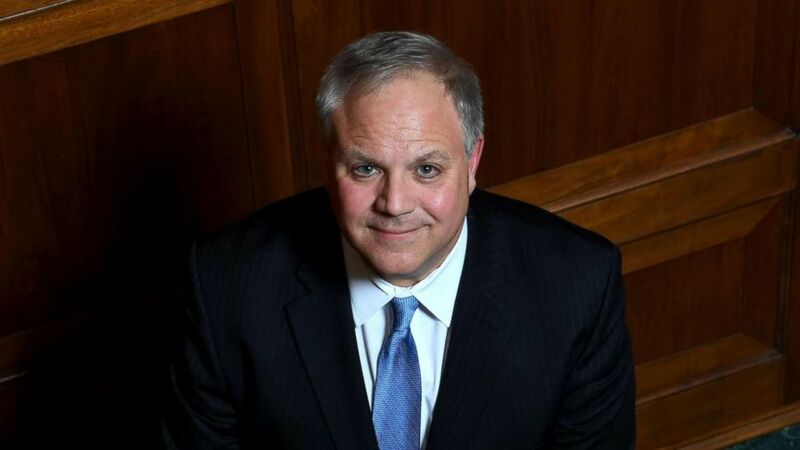 Environmental advocacy groups and democrats compare Bernhardt to Andrew Wheeler, who took over for former EPA Administrator Scott Pruitt after a bevy of ethical scandals. They say, like Wheeler, Bernhardt has more know-how about how to work within an agency and will pursue the same agenda outside the spotlight, which could make it harder for opponents to push back against policy decisionst. During his confirmation hearing, Bernhardt said Trump’s policy positions could outweigh science on climate change .